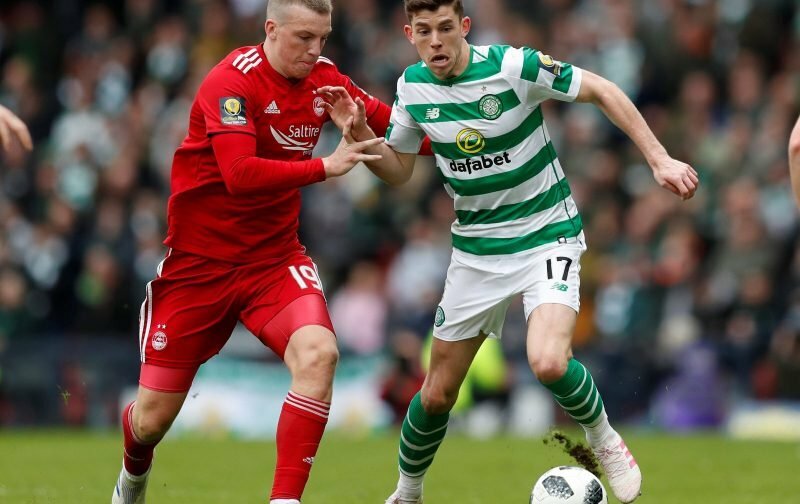 Celtic manager Neil Lennon is hopeful that Ryan Christie will only miss a few weeks of first-team action, with the midfielder potentially back for the upcoming Scottish Cup Final against Hearts. The Hoops booked their place in the May 25th final at Hampden with a 3-0 thrashing of Aberdeen on Sunday, with only the injury to Christie marring the occasion. He was on the receiving end of a fierce header from Aberdeen defender, potentially suffering a broken eye socket or a cheekbone fracture. Requiring a stretcher to leave the pitch after apparently also losing consciousness, there were fears he could be out for quite a long time indeed. I don’t think there is any real intent from Dominic to hurt Ryan but he is late in the challenge. Unfortunately we have lost Ryan to what could be a very bad injury. He was conscious at half-time. We are not sure if it’s a broken eye socket or a fractured cheekbone. According to the medical team, we are hopeful he will be fit for the final when it comes around. We are looking at maybe three or four weeks out. Both myself and Derek heard the crack, it was a hell of a challenge. But again I apportion no blame to Dominic, there was no intent. 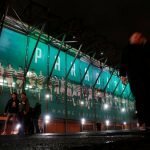 With 11 goals and 9 assists so far this season, Christie has been a key attacking threat in the middle of the Hoops midfield since making the first-team breakthrough under Brendan Rodgers late last year. Also scoring in the Scottish League Cup final this term, he’s a player who knows how to get the job done on the big stage at Hampden. His return against Hearts at the end of May could have a crucial say in determining where the trophy ends up. Lennon will want his strongest players available for the ‘treble treble’ bid and the Scotland international is certainly in the category, so fingers crossed he is back to full fitness as soon as possible.